One of the art therapy students paints live at the Art in Motion show at Northwestern University's Lurie Center June 22, 2015. 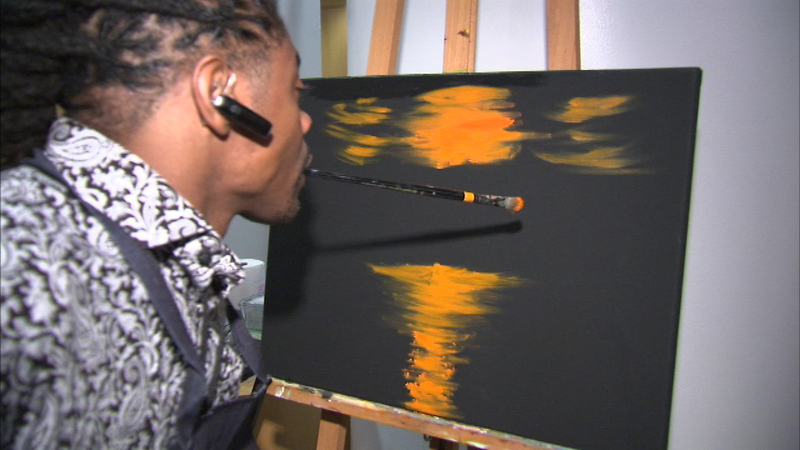 CHICAGO (WLS) -- Some of the nation's top artists are doing good work for a good cause. The Rehabilitation Institute of Chicago benefits from the proceeds of the 13th annual Art in Motion show that kicked off Thursday night at Northwestern's Lurie Center. The event showcases more than 150 established artists alongside work from some in the art therapy program. Art in Motion is free and open to the public through Thursday, June 18.